What to look for in a new pair of sneakers and how to break them in — plus, top picks from the experts. At BETTER we take care to recommend items we hope you'll enjoy! Just so you know, BETTER may get a small share of the revenue. Using interviews with specialists, online reviews and personal experience, BETTER editors, writers and experts take care to recommend items we really like and hope you’ll enjoy! BETTER does have affiliate relationships with various online retailers. So, while every product is independently selected, if you buy something through our links, we may get a small share of the revenue. 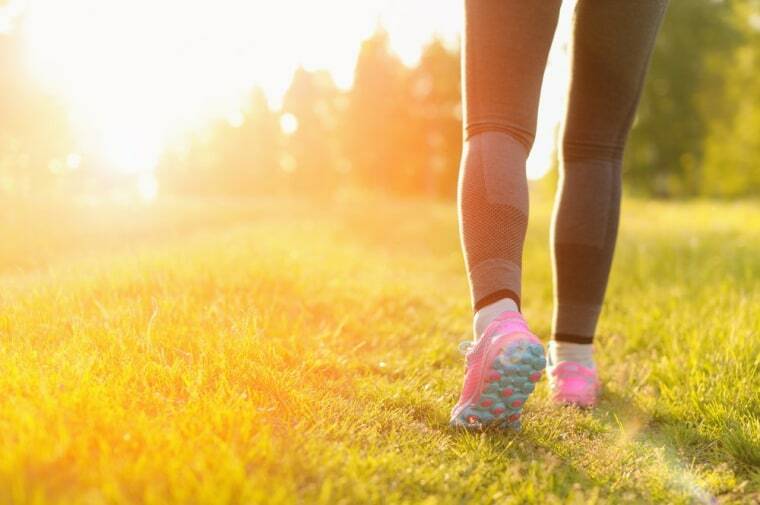 We’ve all been there: you’re on a long Sunday stroll or hiking with friends on the weekend when your “dogs start barking.” It may be an aching pain in the soles of your feet, toe cramps or a shooting pain through your arch or heel. Whatever the discomfort, your walking shoes may be to blame. But shopping for new, comfortable sneakers for walking can be tricky. To help walk you through the process, we’ve tapped a couple of podiatrists and a shoe fitting specialist for what to look for in a new pair, how to break them in, and some top picks that may be a right fit for you. Examine your old pair: Dr. Olga Shvets, a podiatrist in New York City, recommends looking at your current sneaker for clues as to the right fitting shoe. She says that looking at the soles of a well-worn pair of sneakers to see where the sole is worn out will suggest where you are making most of your impact. “Knowing your foot type is important,” she says. “You can be a pronator, supinator or neutral. You can identify your pronation by paying attention to which part of your foot hits the ground first. If you find that you have flat feet, you are likely a pronator and the opposite can be said for high arched feet and supination.” A neutral foot type tends to wear most evenly in the back of their heel. Re-think your shoe size: Cunha says that it's important to remember that sizing can be different across different brands, due to their design and the materials used. Also keep in mind that the length and width of a person's foot tends to change over time due to falling arches or because of hormonal changes that occur during pregnancy. The tip of your thumb should fit between the end of the shoe and the end of your longest toe. Make sure the toe box is wide to enough to accommodate your toes; make sure there is enough room to slightly wiggle your toes. If you can’t move your toes at all then the shoes are too tight and will eventually become painful. Try at least three different shoe models and try two different models at the same time, wearing one model on each foot, to better compare. If you have any concerns about your foot shape, pain or injuries, or specific support needs, getting fitted at by a professional is a smart option. At these locations, you will speak with a professional about your activity level, goals or limitations, and then hop on a treadmill so that they can watch the mechanics of your hip rotation, knee alignment, and degree of pronation or supination when walking. Our experts agree that most people can benefit from a pair of orthotics — inserts that offer custom support to alleviate pain or discomfort and ensure you’re maintaining proper alignment. “Although orthotics are of greater importance for people that suffer from flat feet, everyone, regardless of their foot type can benefit from orthotics, as they help redistribute weight evenly across your feet,” says Cunha. “Although I prefer to recommend custom foot orthotics over pre-fabricated insoles, some health insurance companies do not provide coverage for custom orthotics and they can be expensive when paying out of pocket.” When this is the case, he highly recommends a good insole such as PROFOOT Triad Orthotics, Superfeet, or Stride Insoles. Shvets says to beware of some over the counter orthotics. “Most drugstores sell cushion orthotics that fold and roll — they don’t offer support and are basically a pillow for your feet.” She prefers a stiffer insert, which generally aren’t available in the average drugstore. “I just had a patient injure himself because he was wearing inserts that were not correct for his arch height,” she says. The best way to break in shoes is to wear them in two-hour increments per day for four days and then wear them all day on the fifth day. (i.e. you wear them 2 hours the first day, 4 hours the second day, and so on). This allows the shoe to expand gradually while minimizing any pressure or friction that would otherwise cause pain or discomfort, swelling, calluses and blisters. Cunha notes that while there is a natural break-in period where the shoes will give and accommodate your feet more comfortably, shoes should feel as comfortable as possible when you first try them. If they hurt at all upon try-on, consider a different pair. If you are completely new to walking as a form of exercise, ease into it. For the first week, make it a goal to walk 3 times for 15 minutes each time. You could walk around the block, in your house, or at the gym on a treadmill. For the second week, add in a fourth day, and pick 2 of the days to add in some hills or intervals. You could walk for one block at your comfortable pace and then the next block at a faster pace, or if you’re on the treadmill, walk for 1 minute at an incline of 0 and then increase the incline to 3.0 for the next minute, and continue alternating. And don’t forget: Form is key. We typically don’t pay as much attention to form when we are walking versus other kinds of exercise like running or weight lifting. But experts say proper form is just as important here. Cunha advises that when walking, one should take a comfortably natural step that is not too long in stride so that when your foot strikes the ground you are striking less through the heel and more through your midfoot or forefoot. “Also make sure you unlock one knee prior to striking the foot down and that your hips are over the foot at foot strike, and not behind it.” This can take a lot of self-analysis, but thankfully if you head to a running store you can have a specialist help you break this down. 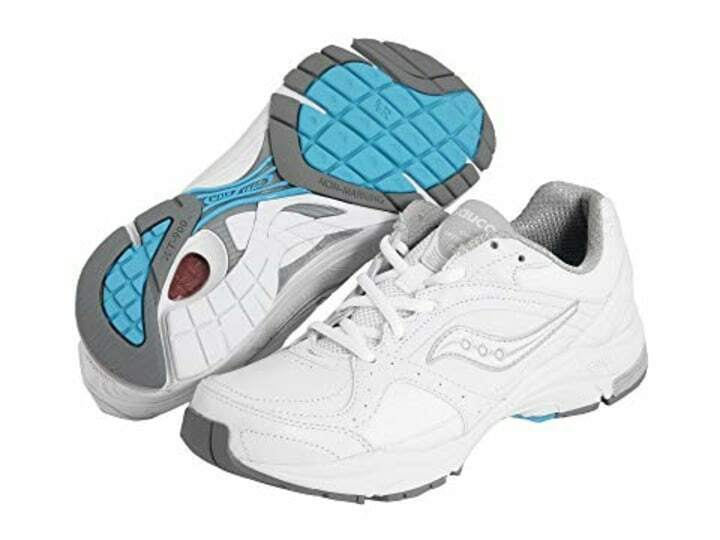 With almost 1000 positive reviews on Amazon, these walking shoes seem to be a customer favorite. They’re lightweight, breathable and not too bulky. 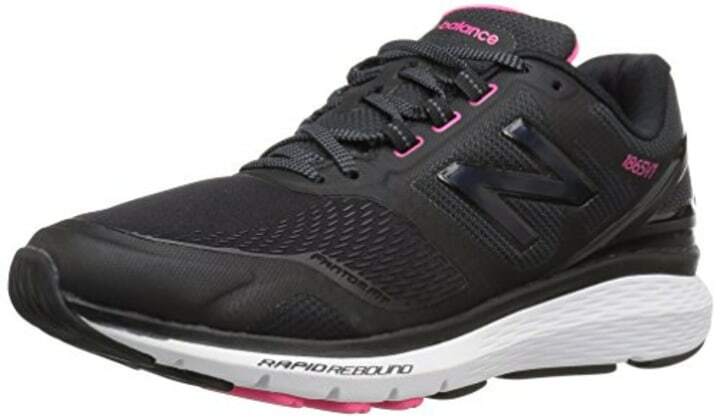 Binder likes this shoe because it has a "GuideRail" system, which offers passive stability. “This technology keeps the foot in a neutral position and only comes into play when needed,” she explains. If the walker pronates (Binder says the majority of people have some degree of pronation), the guide rails balance the foot back into position. If there isn't any pronation, then the shoe doesn't overcorrect. This shoe falls in the a stability category and can be identified by the medial side of the shoe where you see the marbleizing. 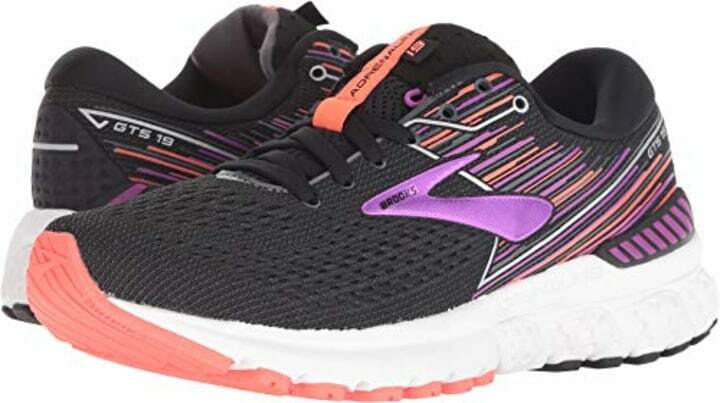 Binder loves this shoe (and the Brooks above) because these running shoes provide more comfort than typical walking shoes due to the additional cushioning that helps absorb the impact and protects the joints. If you do have inserts or orthotics, she says that both of these shoes can accommodate them comfortably. 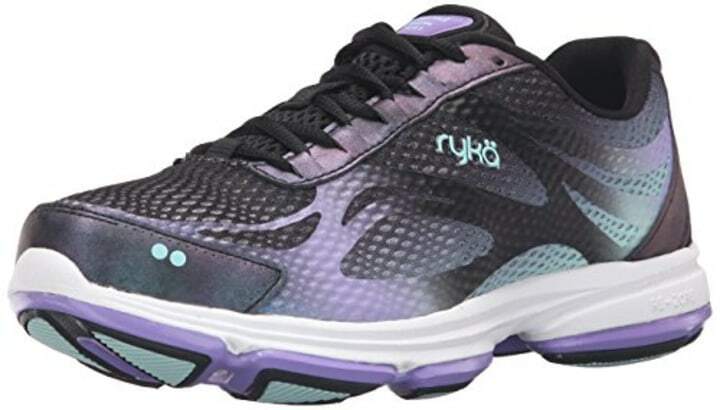 This walking shoe for women is considered one of the lightest walking shoes currently available on the market. 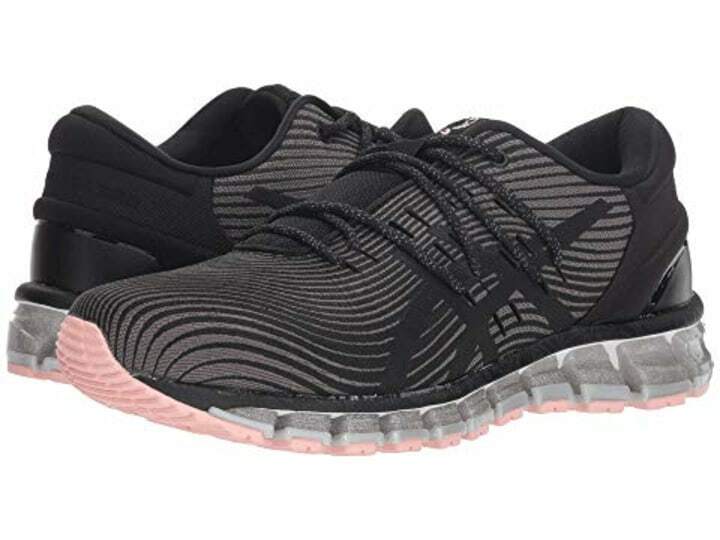 In addition to being lightweight, the shoe is very padded with extra cushion and is made with synthetic material making it durable for long-term use. “I highly recommend these for neutral-arched or low-arched people,” Cunha says. 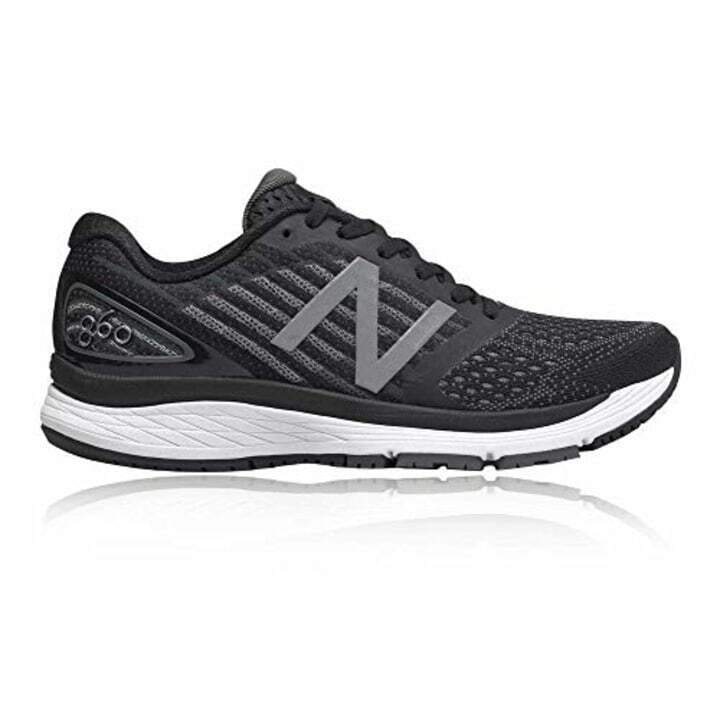 “They provide great stability and have extra padding for shock control. These shoes are heavier, but durable, and can be worn for longer periods of time as they have been specially designed for walking on rough and rocky surfaces. Recovering from a foot or ankle injury? Cunha says this is your best option. Did you do a foot diagnostic test at a running store and determine that you have flat feet? 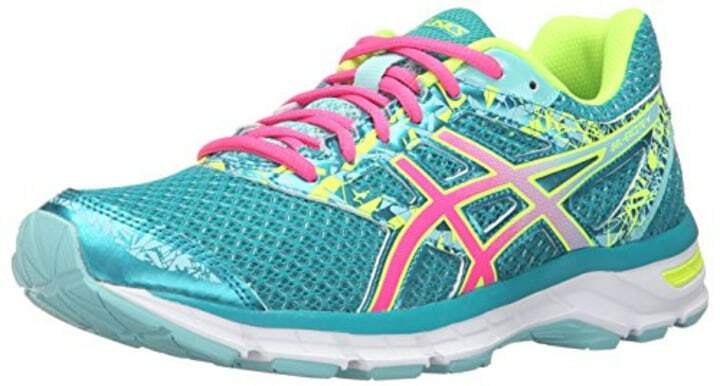 Shvets says this is your best bet and is a great supportive running shoe that can be used for walking. 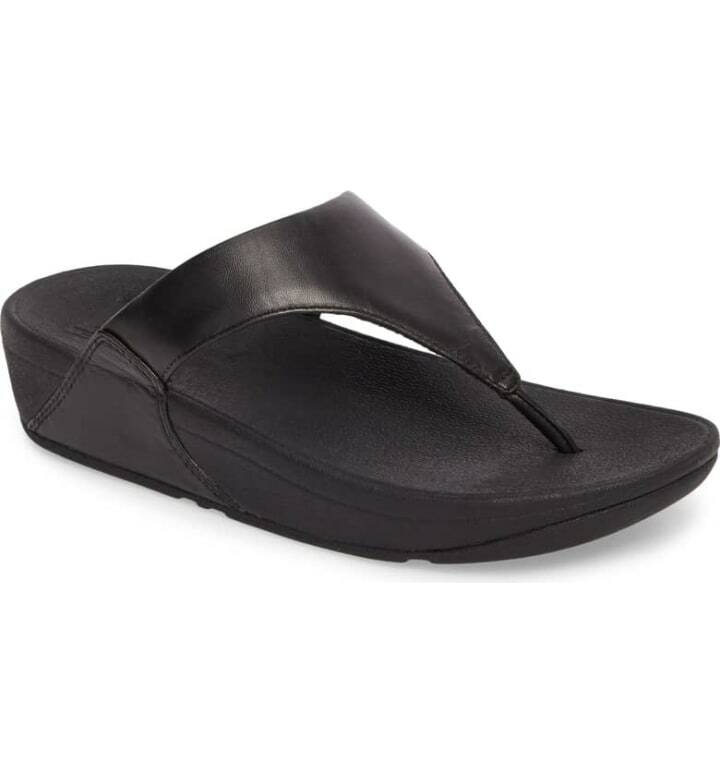 Since the summer is right around the corner, Schvets says that this is a comfortable walking shoe that offers arch support (much better than your standard flip flop) and looks great on your foot.